Adjectives - What does it look like? 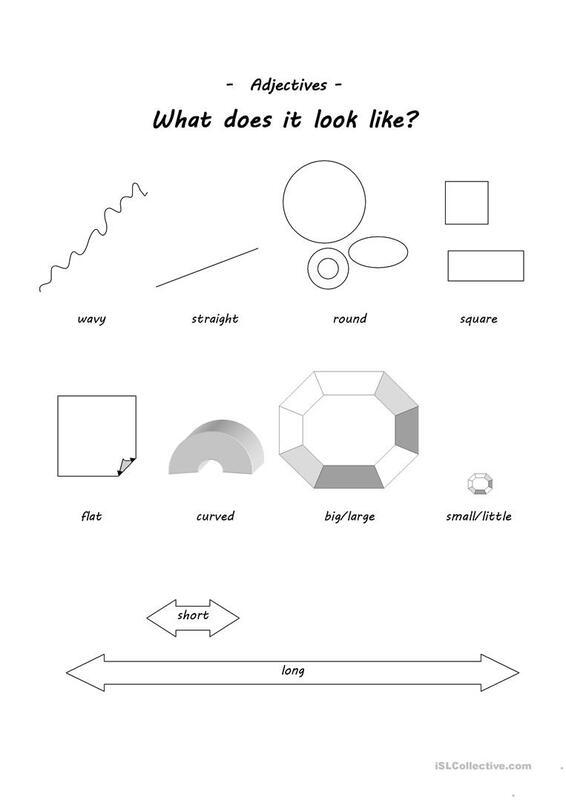 Simple adjectives sheet for describing the appearance of objects. This downloadable worksheet is best suited for high school students, elementary school students and adults at Elementary (A1) level. It is aimed at consolidating Adjectives in English, and can be used for strengthening your class' Speaking and Reading skills. Hello! I've taught English language learners at home (the U.S.) and abroad (Japan). Kids and adults and everything in between! I like making worksheets that are useful, but easy to adapt to different lessons and grammar points. Let me know what you think!